Nowadays customer service really is the “new” marketing. Consumers now have access to an endless amount of information about your business, and research shows that customers who feel taken care of are more inclined to buy from you again. On average, 80% of respondents share the belief that the key to small business success is highly dependent on the satisfied customer. Customers like to know that you care about their experience with your business. The best way to do this is by asking, listening ,responding and adapting. Invite feedback from your customers so that you can find out what they enjoyed about their experience and what could be improved upon. Really listen to what your customers have to say and respond promptly to all complaints, compliments and queries. Responding via social media is a great way of publicly showing that you are listening. The better you understand how your customers feel when buying from your business or making enquiries the easier it is to refine and improve your processes. Responding to clients as soon as possible. Even if you are too busy to take on that client’s request or problem at the time it’s still polite to respond and answer any questions. This reassures customers that you will be with them as soon as you can be. Keeping clients updated. Even if you have nothing major to report you can still let your client know what you’re currently working on and how things are progressing. Having updates gives customers reinforcements that they are involved in their project. Putting yourself in your customers shoes. Try to visualise how your business and personal behaviour would affect your client. 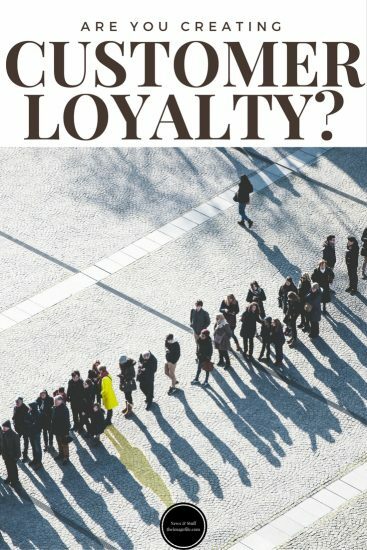 A loyalty programme provides a practical, hard reason for customers to continue buying, while equally attracting new customers to the business. A loyalty scheme can be as simple as a discount when customers spend a certain amount or a reward when they refer a friend or family member to your business. Creating and retaining a loyal customer base is key to small business success. According to research, loyal customers are worth up to 10 times as much as their first purchase so it is incredibly important to show those loyal clients that you care. Finally, as our own thank you…if you refer someone to theimagefile we will thank you with a free month and extend the trial for the person you refer after their trial period! Simply tell your friend or family member to sign up and in the promo code box on the sign up page write your name. After that, we handle everything for you. www.theimagefile.com/refer.